Your website can struggle in a massive number of ways, and even though there are solutions to all of them, this article is not big enough to cover all of them. 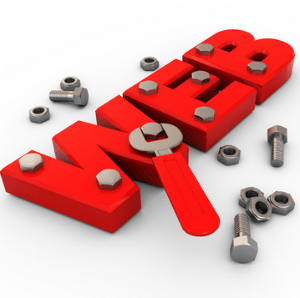 So, here are a few ways in which you can save your website from unnecessary struggling. Punish those bugs before they have chance to cause you problems. They will sometimes raise their annoying heads when you first write your website, but there trick is to wait months until you have refreshed and renewed your page content plenty of times. Then they crop up and make a mess of all the new png headers you installed or they make your videos auto start even though you have written the protocol to make sure they have to be clicked first. Bug hunt from the very beginning and make sure that your code is very tight. Make sure that you are fully 100% sure of every piece of code. A nice idea is to add notes and then comment them out. Just make sure that you have commented them out correctly. Many code writing pads will show your comments in a different color. Microsoft Internet Explorer will show comments in green when showing the source code. This should also remind you not to put sensitive information as a comment on your code, as anybody who goes online can read your source code (HTML code). Google insists that you keep your page content up to date, and this often involves shifting things around your website or making changes in various places. It is inconvenient to have to bug hunt and clean up your code after every update, but try to do it on a routine basis so that you do not have further troubles down the line. Having a dynamic and reactive/responsive website design is pretty much a given these days. The argument over having a separate website for mobile and desktop is being won by people saying your website should be responsive (i.e. should work for both). Making it compatible with Smartphones is a little more difficult because they have very small screens. It means cutting back on a lot of your website functions and it means operating your website with a very different website navigation method/system. As stated above, your website should work for tablets, but you do not have to worry as much about making big changes. The chances are that you will have to strip down your website a little and make navigation easier to access, but bigger or fundamental changes are probably not needed. This is very important because ideally you want each page to have at least three internal links pointing at it. This means a fair bit of planning if you do not want your website to look a mess. You should also be planning your navigation so make sure that it is easy to use. People should be able to find the page they are looking for within three clicks. If you are hoping to rely on a Google powered search bar, then you are going to lose a lot of viewers. People do not want to use such a tool on your website, plus it is annoying having to go through their list. It will also omit all of the pages that have not been indexed with Google yet, which means your newest pages will be left out. This involves things such as online tools, images, videos, pod casts, downloadable files, widgets and links. They all have their own rules so that they are optimized for the search engines and so that they are optimized for quicker loading and browser compatibility. It is not a good idea to have heavy elements or elements that cause errors do not appear, or that cause bugs. There is also no point in having heavy elements when you can have light element that do the exact same thing. They are not good for your SEO (Search Engine Optimization), and even if they are part of your website design but you haven’t gotten round to fixing them, you still need to leave them absent. Web pages that are empty will add a drag to your SEO as Google considers them to be counter-useful and so makes your website less useful as a whole. My name is Sonia Jackson. I represent the web-site www.cool-essays.com . We’ll help you to solve all problems with writing different essays and research papers in a short time.